Fixed penalty notices issued to those found guilty of committing driving offences are set for sizeable increases, with some even reaching £100. The fine, which currently stands at £60, may increase to £80 or £100 as part of the new plan which has been proposed by Justice Secretary Ken Clarke. The additional revenue received from the higher penalties will be used to fund road safety schemes, whilst also contributing to the compensation received by victims of crime. Those who have suffered serious injuries will be prioritised under the new scheme and British victims of terror attacks could receive this compensation - even if they are living abroad. 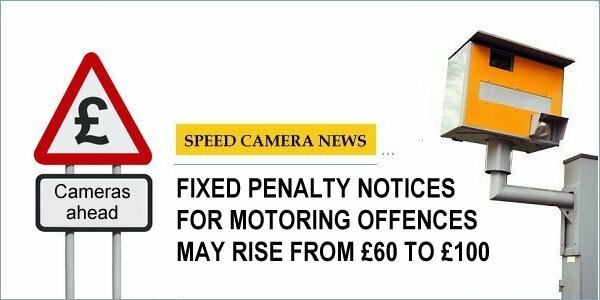 The increased fines are also designed to deter motorists from committing offences such as speeding or driving whilst operating a mobile phone. Despite the scheme's intention to reduce speeding and other motoring offences, some automotive bodies have condemned the action. The Director of the RAC Foundation, Stephen Glaister, explained that whilst he appreciated "speeding motorists are law breakers" he felt that "their punishment should fit the crime." He went on to condemn the proposed scheme for taking additional money from offenders simply because the process is "easy" before stating the plan "goes against any sense of justice." The Head of Road Safety at the AA, Andrew Howard, supported these views and explained that using motorists to raise money for crime victims was something the body had "opposed in the past." Location: The green bit between the M40, M4 and M25. I as reading this yesterday, and thought, great just what we want. One of the articles said that parking on yellow lines and not wearing a seat belt was also included. I think poor old Ken has lost the plot, considering some of the other little gems he has come up with around prisons and prison sentences. Triumph Tbird 1700. And now a Bonnie T100 as well. I'm confused. Is this to increase income or to stop offences being committed? The former. The increased income from a motorist going over the speed limit will be used to compensate the family who's dad got stabbed by a smack-head on the street. Because it's obviously the drivers fault that this poor fella got stabbed so he pays for the compensation. The smack-head, meanwhile, gets a Playstation 3, LCD TV and 3 warm meals a day for his punishment. The smack-head, meanwhile, gets a Playstation 3, LCD TV and 3 warm meals a day for his punishment. NO!!! Warm, else he'll be suing for a scalded mouth. Damn. Just like the last Government, I didn't think it through enough to come up with all the possible outcomes. And the ones that I hadn't thought of are several orders of magnitude worse than the ones I did. I must stop doing sarcasm! If you do the crime pay the price simple as that. Speeding should carry a £100.00 per a mile over the speed limit so if you do 30 in a 20 school zone you should pay 1,000.00 and 3 points + speed awareness corse, second time in 1 year it would double 2,000.00 and 6 points, there is no 3rd time you simply should be banned for life as you simply have a driving problem. This country is to soft on drivers that brake the law. They seem to have dropped the compensation angle, it's just your money they want. Now, I'm going to take a different tack on this one. We all know that despite what the authorities say, the scameras are a form of revenue collection. If the authorities not only came clean and admitted that the scameras were a form of revenue collection and (this is the important bit) did away with the points thing then I think that would be a lot fairer! If you were to speed then you would risk being taxed for speeding.